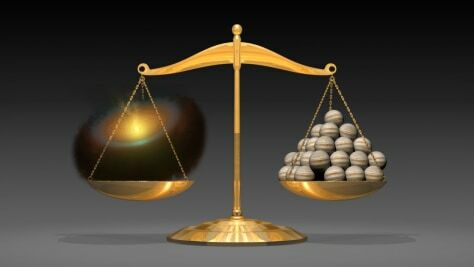 This artist's illustration shows a planetary disk (left) that weighs the equivalent of 50 Jupiter-mass planets. It demonstrates a first-of-its-kind feat from astronomers using the Herschel space observatory. The scientists were able to weigh the planet-forming contents swirling around a young star with the most precision yet.